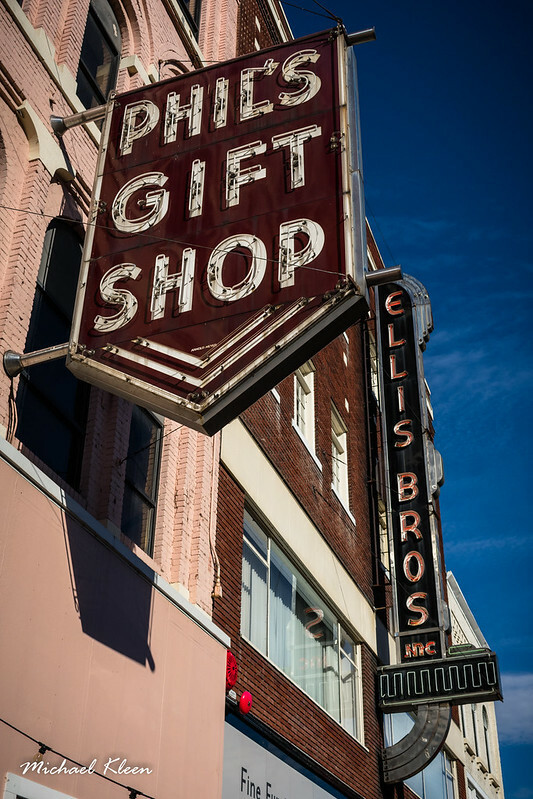 Phil’s Gift Shop and Ellis Bros Furniture still exist in Binghamton, New York, but you can no longer drive past these vintage signs, which are located in the Washington Street pedestrian mall downtown. Ellis Brothers Fine Home Furnishings was founded in 1900 and has occupied the same location for over a century. Phil’s Gift Shop, owned by the Ellis family since 1939, moved north to 136 East Service Road (along Interstate 88).